Two things are common to these cognate castes. Firstly, they claim to be the descendants of the Yadu Dynasty (Yadav) to which Lord Krishna belonged. Secondly, many castes in this category have a set of occupations centering round cattle. 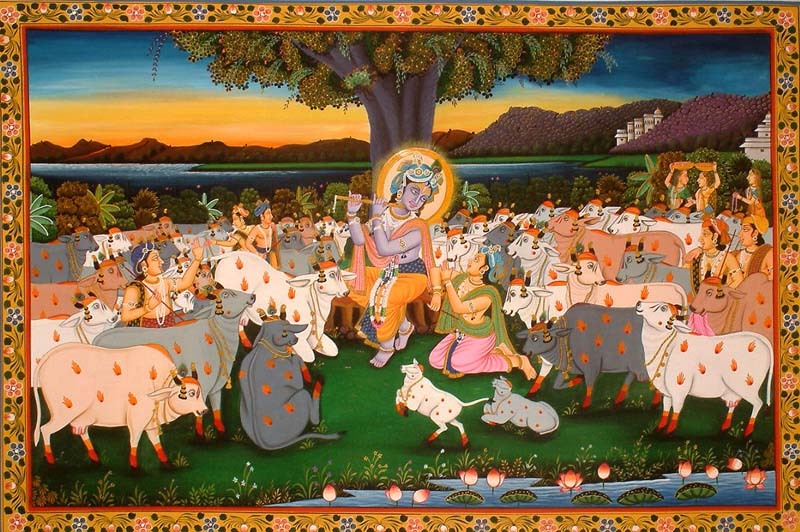 Krishna pastimes lends a kind of legitimacy to the pastoral occupations relating to cattle, and as the castes following these occupations are to be found in almost all parts of India, the Yadav category encompasses a whole range of related castes. According to Vedic literatures, the Yaduvanshis or Yadavs are the descendants of Yadu, the eldest son of King Yayati. From his line was born Madhu, who ruled from Madhuvana, situated on the banks of river Yamuna, which extended up to Saurastra and Anarta (Gujrat). His daughter Madhumati married Harinasva of Ikshvaku race, from whom Yadu was born again, this time being ancestor of Yadavas. Nanda, the foster father of Krishna, was born in the line of succession of Madhu and ruled from the same side of Yamuna. Jarasandh, Kansa's father-in-law, and king of Magadha attacked Yadavas to avenge Kansa's death. 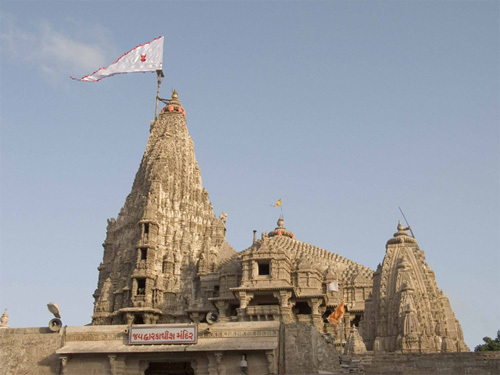 Yadavas had to shift their capital from Mathura (central Aryavart) to Dwaraka (on the western coast of Aryavart) on the Sindhu. Yadu was a legendary Hindu king, believed to be an ancestor of the Lord Shri Krishna, who for this reason is also referred to as Yadava. Genetically, they are in Indo-Caucasoid family. A study in East of India shows their gene structure is similar to Brahmin, Kayastha & Rajput living in the same area. Some historians also seek a connection between Yadavas and Jews. 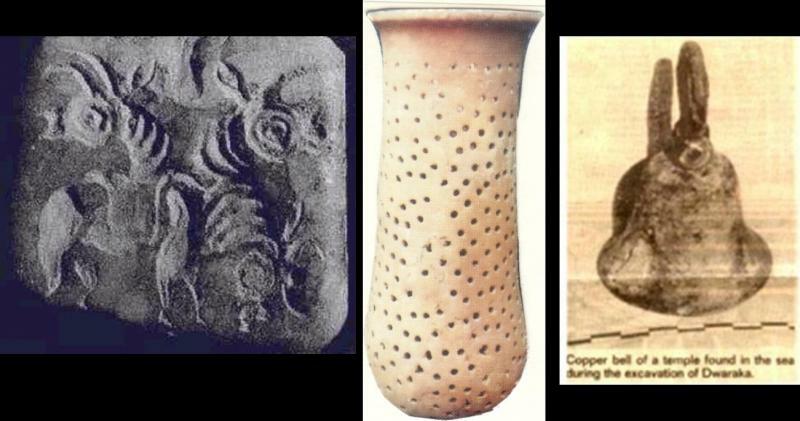 According to their theory, the Greeks were referred to the Jews as Judeos, or Jah deos or Yadavas, meaning people of Ya. In Russia, many Russians have surname “Yadav”. James Tod demonstrated that Ahirs were included into the list of 36 royal races of Rajasthan (Tod,1829,Vol1,p69 ii,p358). Ahirs synonyms are Yadav and Rao Sahab. Rao Sahab is only used in Ahirwal region consisting of territories of few villages of Delhi, Southern Haryana & Behrod area of Alwar district (Rajasthan). Historically, Ahir laid the foundation of Ahir Batak town which was later called Ahrora and Ahirwar in Jhansi district in A.D.108. 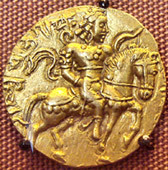 Rudramurti Ahir became the chief of the Army and later on, the king. Madhuriputa, Ishwarsen and Shivdatta were well known kings from the lineage who mingled with Yadav Rajputs, Sainis, who are now found by their original name only in Punjab and in the neighbouring states of Haryana, Jammu and Kashmir and Himachal Pradesh. They claim descent from Yaduvanshi Rajputs of the Yaduvanshi Surasena lineage, originating from Yadav King Shoorsen, who was the grandfather of both Krishna and the legendary Pandava warriors. Sainis relocated to Punjab from Mathura and surrounding areas over different periods of time. All Yadav sub castes descent from the Yadu lineage, these include the Ahirs in the North and West India; The Ghosh or the "Goalas" and "Sadgopa" or Gauda in Bengal and Orissa; Dhangar in Maharashtra; Yadav and Kurubas in Andhra Pradesh and Karnataka and dayan and Konar in Tamil Nadu. There are also several sub-regional names such as hetwar and Rawat in Madhya Pradesh, and Mahakul (Great Family) in Bihar. The traditional occupation of most of these castes relates to cattle. The Ahirs, also referred to as Abhira or Abhir, also claim descent from Yadu through Krishna, and are identified with the Yadavs. In the 1881 census records of the British empire, Yadavs are identified as Ahirs. Besides Scriptural origin, historical evidence exists for identifying the Ahirs with the Yadavas. It is argued that the term Ahir comes from Abhira (Behandarkar, 1911; 16), who where once found in different parts of India, and who in several places wielded political power. Ancient Sanskrit classic, Amarkosa, calls gwal, gopa & ballabh to be the synonym of Abhira. A Chudasama prince styled Grahripu and Ruling at Vanthali near Junagarh described in the Dyashraya kavya of Hemachandra, describes him both as a Abhira and a Yadav. Further, in their Bardic traditions as well as in popular stories Chudasmas are still called Ahir Ranas. 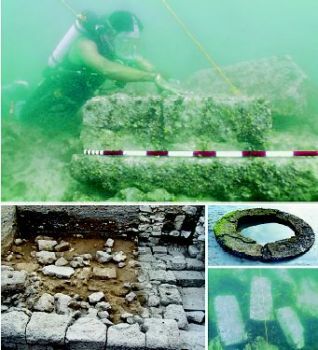 [ Again, many remains of Khandesh (historical stronghold of Abhiras) are popularly believed to be of Gawli Raj, which archaeologically belongs to the Yadvas of Devgiri. Hence, it is concluded that Yadvas of Devgiri were actually Abhiras. Moreover, there are sufficient number of clans within Yadav, who trace their lineage from Yadu and Lord Krishna, some of which are mentioned in Mahabharata as Yadav Clans, like Gaur, Krishnauth etc. Vātsyāyana also mentions the Abhira kingdoms in the Kama Sutra. Ahir’s also ruled beyond the geographical borders of present day India, as king of the hilly terrain of Nepal. 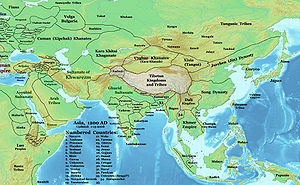 Eight kings of the first Yadav dynasty ruled Nepal, the first being Bhuktaman and the last Yaksha Gupta. Owing to pastoral disputes, this dynasty was then replaced by another Yadav dynasty. This second Yadav dynasty had a succession of three kings, they were Badasimha, Jaymati Simha and Bhuban Simha and their rule ended when the Kirati invaders defeated Bhuban Simha, the last Yadav king of Nepal. It is argued that the term Ahir comes from Abhira who were once found in different parts of India, and who in several places wielded political power. The Abhiras are equated with Ahirs, Gopas and Gollas, and all of them are considered Yadavas. Abhira means "fearless" and appear in most ancient historical references dating back to the Abhira kingdom of the Saraswati Valley, who spoke Abhiri until the Buddhist period. Analysis of Hindu scriptural references of the Abhira kingdoms has led some scholars to conclude that it was merely a term used for Holy Yadava Kingdoms. In Bhagavatam, the Gupta dynasty has been called Abhir. century AD) mentions the Abhiras as one of the states of west and south west India. A fourth century AD inscription found in Nashik speaks of an Abhira king and there is proof that in the middle of the fourth century the Abhiras were settled in eastern Rajputana and Malwa. Similarly, when the Kathis arrived in Gujarat in the eighth century, they found the greater part of the country in the possession of the Ahirs. The Mirzapur district of the United Provinces has a tract known as Ahraura, named after the Ahir and another piece of country near Jhansi was called Ahirwar. The Ahirs were also kings of Nepal at the beginning of the Christian era. Khandesh and the Tapti valley were other regions where they were kings. The Gavlis rose to political power in Deogarh, on the Chhindwara Plateau in the central provinces. The Saugar traditions traced down the Gavli supremacy to a much later date, as the tracts of Etawa and Khurai are said to have been governed by the chieftains till the close of the seventeenth century. Scholars, such as Robert Sewell believe that the rulers of Vijayanagara Empire were Kurubas (also known as Yadavas). Some early inscriptions, dated 1078 and 1090, have implied that the Hoysalas of Mysore were also the descendants of the original Yadava clan, by referring to the Yadava vamsa (clan) as Hoysala vamsa. 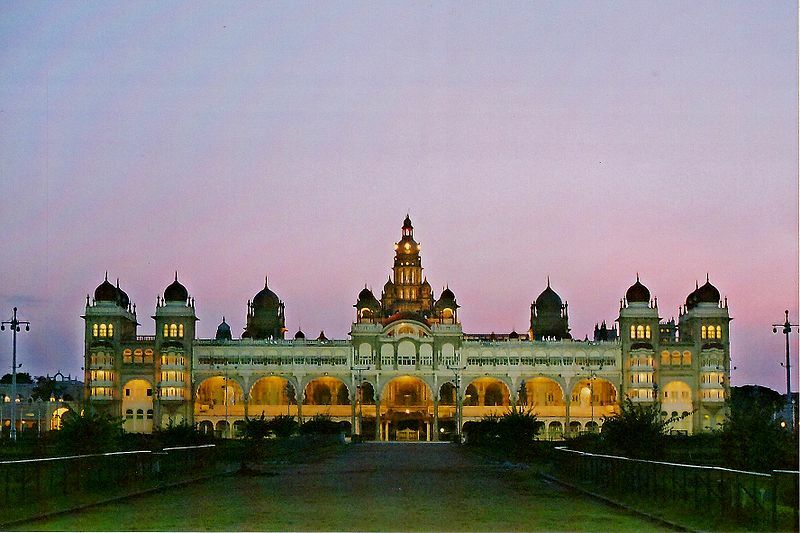 The founder of the Wodeyar dynasty, Vijaya, also claimed descent from the Yadu and took on the name Yadu-Raya. Many ruling Rajput clans of India traced their origin to the Yaduvanshi lineage, a major branch of the Chandravanshi Kshatriyas. These include the Banaphars and the Jadejas. The Seuna Yadavas of Devagiri also claimed descent from the clan of Lord Krishna. 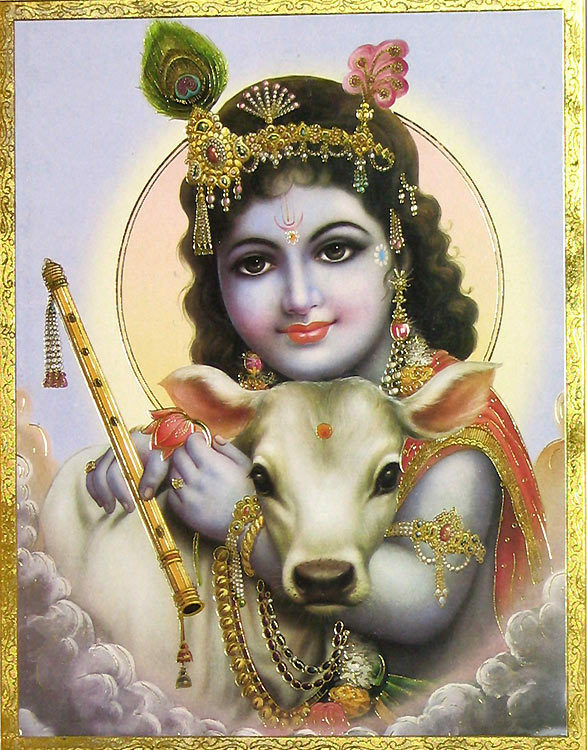 Legends of the cowherd Krishna and his dances with cowherdesses are mentioned in the Sangam classics. The term Ayarpati (cowherd settlement) is found in Cilappatikaram. It is argued that the term Ayar has been used for the Abhiras in ancient Tamil literature, and V. Kanakasabha Pillai (1904) derives Abhira from the Tamil word Ayir which also means cow. He equates the Ayars with Abhiras, and scholars treat this as evidence of migration of the Abhiras to the south in the first century AD. include Lord Shri Krishna, as well as historical rulers such as King Porus, who fought Alexander the Great in the Battle of the Hydaspes River.As Raghav (Raghuvanshi) s of Suryavansha, The Yaduvanshi is one of the sub-divisions of Chandravanshi Rajputs. 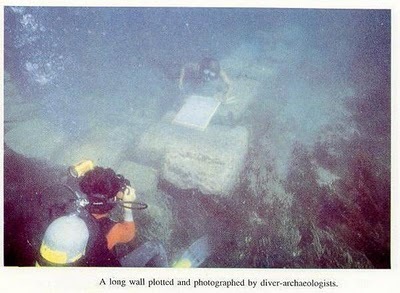 DWARKA The submerged palace of Dwarka kingdom.Divers maping the Fort. J.N. Singh, a famous historian, gives the following account in his Yadav's Through The Ages, " he Hoysalas ruled illustriously for over three centuries and have left in the country imperishable monuments of art and culture. They were family of kings who ruled over practically the whole of the Kannada country at the height of their power. They scheduled the hill tribes known as Malepas in the Western Ghats and they assumed the title 'Maleparoleganda'. The account of their origin can be traced in some of their inscriptions. They claimed Sosevura (Sasakapura of Sanskrit writers) as their birthplace. This place has been identified with Angadi of Mudigere Taluk in chikamanglura district. It has been mentioned as the seen of the incident between Sala and the tiger. When Sala,' an ornament of the Yaduvamsa' (Yaduvamsojvala tilakan) was worshiping the goddess Vasantike of Sasakapura, a tiger came from the forest. The holiman Sodutta, who was there gave him his fan saying 'Poysala' (Strike, Sala). Sala killed the tiger. From that time the name of Poysala become the designation of the Yadava kings (E.C. VOL. VI, Cm. 20.). Almost the same account, though differing in certain details, is found in many of their inscriptions. According to another version, when Sala was hunting along the slopes of the Sahya mountains (or the Western Ghats), he was astonished to see a hare (SKt. Sasa) pursuing a tiger, while he was walking alone saying to himself, 'this is heroic soil', a holy muni near by, being afraid of the tiger, called out 'Poy-Sala' and before it could proceed the length of a span Sala slew it with his sword (E.C., VOL. V, PART I B1. 171.). 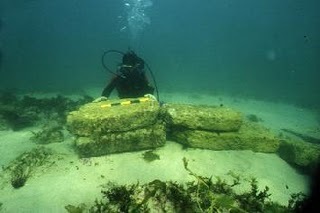 It is after this incident that the place came to be known as Sasakapura. The founder of the Wodeyar dynasty, Vijaya, also claimed descent from the Yadu and took on the name Yadu-Raya. According to S.C. Raychoudhary (author of Social, Cultural and Economic History of India), a noted historian, "The Pandya kingdom generally associated with the Pandus of the Mahabarata covered the districts of Madura and Tinnivelly as well as certain portions of south Travancore." Dr. V. Manickam in his path-breaking work Kongu Nadu gives an expanded version of his doctoral thesis submitted to the University of Madras as follows, "It was noted that the pastoral people (Ayar) of the Mullai land in Kongu formed the major component of the Vellalar community of the medieval period. It is Dr. V. Manickam thesis that the Vellalar of Kongu were nothing but the pastoral people of Kongu, of course,with some additions (p 553). However, We come across references to Idaiyar of Kiranur, alias Kolumam Konda Cholanallur (SII : 5:283), Kon from the same place (SII : 5: 265,267,269), and Yatavar in two epigraphs from Chevur (Eye Copy 94,98). Further, there are also references to Tiruvayappadi nattar, which indicate the supra-local activities of the herdsmen discussed in chapter 15. The presence of the herdsmen, with the titles as found in the macro region, may be explained as survivors of the pastoral people of the pre-Chola period who were reluctant to integrate themselves in the new setup or new additions. 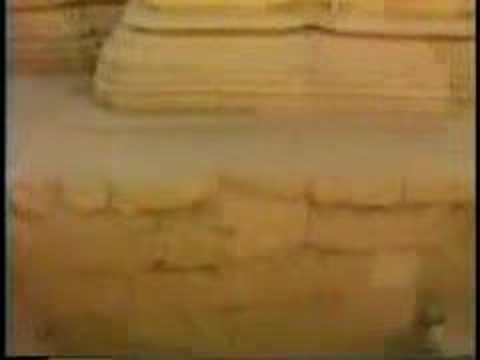 Rawal Jaisal laid the foundation stone of Jaisalmer in 1156 A.D. He hailed from the Yaduvanshi Rajput kin group. The city has an interesting legend associated with it, according to which, Lord Krishna, the head of the Yadav Clan, foretold Arjuna, one of the Pandava brothers of the Mahabharata that a remote descendent of the Yadav Clan would build his kingdom atop the Trikuta Hill. His prophecy was fulfilled in 1156 AD when Rawal Jaisal, abandoned his fort at Lodurva and founded a new capital Jaisalmer, perched on the Trikuta Hill. 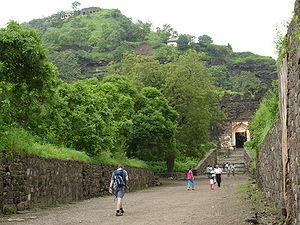 However, historical facts contradicts this claim, because Trikuta Hill is actually near Deccan, a range of hills bordering Nashik, where one Abhira dynasty, Traikuta, directly claiming descent from ancient Haihai Yadav King, Nala, in 5th century A.D., had built kingdom on original Trikuta Hill, and hence assumed the title Traikuta. Also Shivaji was the great Maratha fighter whose mother Jijabai was a Yadav. The name of the State of Haryana may have been derived from its ancient inhabitants: Abhirayana. The name `Abhira` may stem from a-bhira meaning fearless, i.e Yadav. Yadav dominated areas in National Capital Region (NCR) includes Gurgaon, Manesar, Behror, Bawal, Dharuhera, Pataudi, Bhiwadi, Badshahpur, Kosli, Alwar and Rewari. * Delhi has Haider Pur, Jwala Heri, Rajokri, Madipur, Surehra, Samaypur, Badli, Najafgarh, Todapur, Khaira, Sakarpur, Bagdola, Gudhana and Kapashera. * Gurgaon has Wazirabad, Samaspur, Kanhai, Badshapur, Islampur, Sukhrali, Hyatpur, Shilokhra, Tikri, Teekli, Sahraul, Khedki, Daula, Fazilpur, Sikohpur , Nathupur, Chakkarpur, Sikanderpur, Nawada, Mohmmadpur, Dundahera, Iqbalpur, Smalkha, Bamdoli, Mirpur, Sashand and Manesar. * Noida has Sarfabad, Garhi Chaukhandi, Patwari,Hoshiyarpur, Khanjarpur, Zahilabad,Rasoolpur Navada, Partha, Sorkhla and Naharpur etc. * Rajasthan has Alwar, Jhunjhunu, Bharatpur. * Haryana has Gurgaon, Narnaul , Rewari , Mahendragarh,. * Uttar Pradesh has Kanpur, Etawah, Farukhabad, Kannauj, Auraiya, Unnao, Hardoi, Agra, Azamgarh, Badaun, Etah, Firozabad, Gorkakhpur. * Bihar has Gopalganj, Banka, Darbhanga, Siwan, Chhapra, Madhubani, Munger. Rao Birender Singh Yadav was the second chief minister of Haryana and Chaudhary Brahm Prakash Yadav was the first chief minister of Delhi. 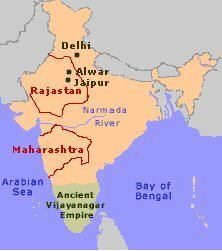 In Marubhumi (Marwar), Saurashtra and Maharashtra they served the local rulers and established their own rule. Ishwarsena, a great Ahir general, became master of Western Deccan in place of the famous Satava-hanas. He took the title of Rajan and an era was named after him. His descendants continued to rule for nine generations. 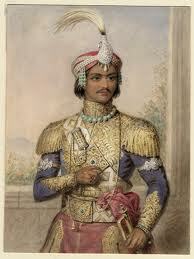 Pran Sukh Yadav (1802–1888) was an extraordinary military commander of his time. He was a close friend of Hari Singh Nalwa and famous Punjab ruler Maharaja Ranjit Singh.In his early career he trained Sikh Khalsa army. After the death of Maharaja Ranjit Singh he fought in both the First and Second Anglo-Sikh Wars, due to his extreme hatred towards Britishers after the defeat of Sikhs he started giving military training to the farmers of Narnaul and Mahendragarh region. Another king Rao Tula Ram was born on 9 December 1825 in a Royal Rao Bhadur Nirpur Yadav family which belonged to "Rao Bhadur Ghari-Bolni" in village Rampura (Rewari). His father was Puran Singh and his mother's name was Gyan Kaur who was daughter of Great Jat ruler Maharaja Ranjit Singh. In 1857, Rao Tula Ram led the rebellion in Haryana along with his brother Rao Bhadur Tula Ram of Ghari Bolni and Rao Gopal Dev of Nirpur.For centuries the Ahirs were eclipsed as a political power in Haryana until the time of the Pratihara dynasty. In time they became independent rulers of Southwest Haryana. Although the Ahirs and Yadavas form one group, the former are an important community of Haryana, but numerically they constitute less than 10% of the total population. Most of them live in the region around Rewari, Narnaul, Mahendragarh and Gurgaon which is therefore known as Ahirwal or the abode of Ahirs. 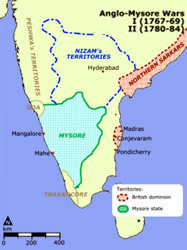 The Seuna, Sevuna or Yadava dynasty (850 - 1334) was an Indian dynasty, which at its peak ruled a kingdom stretching from the Tungabhadra to the Narmada rivers, including present-day Maharashtra, north Karnataka and parts of Madhya Pradesh, from its capital at Devagiri (present-day Daulatabad in Maharashtra). 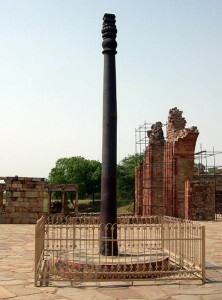 It claimed descent from the Chandravanshi Yadavs of North India. Solaskars are another group that belong to the Kshatriya Yadav clan, and claim to be the successors of the Yadavas of Devagiri. They are the protectors of sixteen Shiva temples situated in the hillside region of Satara. Solashi (place of Solaskar) is in North Koregaon Area on the South East side of Khambatki Ghat while coming from Pune to Satara. The village is recognized by an old and nice temple of Shul-Pateshwar. On the North side of the village is a large mountain (same one of Khambati ghat) on which temples of Hareshwar and Dhareshwar were built. It has a height of 4000 meters. Solashi is one of the villages situated on the northern side of Koregaon. It is famous for the God Hareshwara. There are sixteen small temples of Lord Shiva around the entire village. All Solaskar families in Solashi are vegetarians. The Jadhavs also claim descent from the Yaduvanshi clan. Konar or Idaiyar or Tamil Yadavar is a caste from the Indian state of Tamil Nadu. It is a sub-division of Yadava community. They are also known as Ayars. Konars are distributed throughout the state of Tamil Nadu. They are one of the ancient Tamil castes. Ilango Adigal had mentioned Konars of Madurai in his Tamil epic Silapathikaram, which is considered to be one of the five famous epics of Tamil literature. According to this epic, they gave accommodation for Kannagi. They occupied grasslands known as Mullai in Ancient Tamil country. Konars traditionally raise cows, goats and sheeps and sell milk. Maniyani is a caste of Kerala that claims descent from Krishna. The Maniyani are the Kshatriyas of Kerala, India. Maniyanis are also known as Kola- Aya (Kolayars). They are the Yadavas of Kolathnadu and Thulunad. They are seen in Kannur and Kasargod Districts. Ayar is a common surname for Yadavas through out India. They settled in north Kerala about 3000 years back. Kola is the name of Yadava clan who settled in North Kerala and Southern Karnataka. The emergence of an educated and religiously orthodox elite among the Yadavs, after the religious movements of Arya Samaj and Janeu movements led to the formation of the All-India Yadava Mahasabha in 1923 in Allahabad. The AIYM immediately engaged itself in two issues. It appealed to its castemen in all regions to add “Yadav” to their names and at the same time launched on a major programme of social reform. The regional organisation of the Hyderabad Rashtra Yadav Mahajana Samajam, for example, appealed to the Census Commission that their caste name Ahir be changed to Yadava. All India Yadav Mahasabha is also pressing Indian government for the formation of Yadav regiment in Indian Army after they showed their bravery in the 1965 Indo-China war. In 1966 the AIYM held its annual conference in Etawa, with Mulayam Singh Yadav as chairman of the reception committee and Rao Birender Singh the scion of the Rewari dynasty as president. After Independence, the Yadavs have emerged as the leaders of the other backward classes. Prof. Rao’s study of the Yadava elite in the various states (based on the members and supporters of the All India Yadav Sabha and not on those of the rival All India Yadav Mahasabha) reveals the growth of varied business and professional groups within the caste category. Heading the list are businessmen who comprise roughly 21 per cent of the elite. They include dairy owners, contractors, tobacco and timber merchants, wholesale grass dealers, owners of engineering firms and other industries as well as restaurant owners. They are followed by the large farmers who comprise around 21 per cent of the Yadav elite. Politicians (MPs, MLAs, ministers, municipal councillors, district board members, office-bearers of political parties) constitute 17 percent of the elite and school and college teachers, doctors, lawyers and engineers together another 20 percent. Indo-China war, the kargil war, Akshardham, and Parliament attacks. 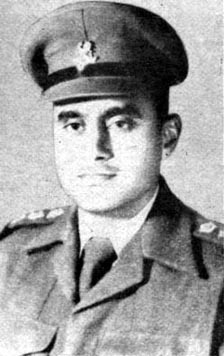 Grenadier Yogendra Singh Yadav of the Indian army was awarded the highest Indian military honour, Param Vir Chakra for his actions during the Kargil War on 4 July 1999.
gunner, won the Victoria Cross; which is a world–wide symbol of the recognition of the highest form of bravery in the face of the enemy; in hand to hand combat with the Japanese infantry, when its do or die squads raided his gun position, in the Kaladan Valley. He killed ten of them with his bare hands armed only with the gun bearer (a heavy metallic tool) they found him exhausted and bleeding in the morning but still alive amidst a pile of Japanese corpses littered around the gun, which, remarkably, was found to be still fit for immediate firing. Southern Haryana) of 13 Kumaon Regiment set an unparallel example in the military history of Aryavart by defending their position at Rezang La in Ladakh district of Jammu and Kashmir. 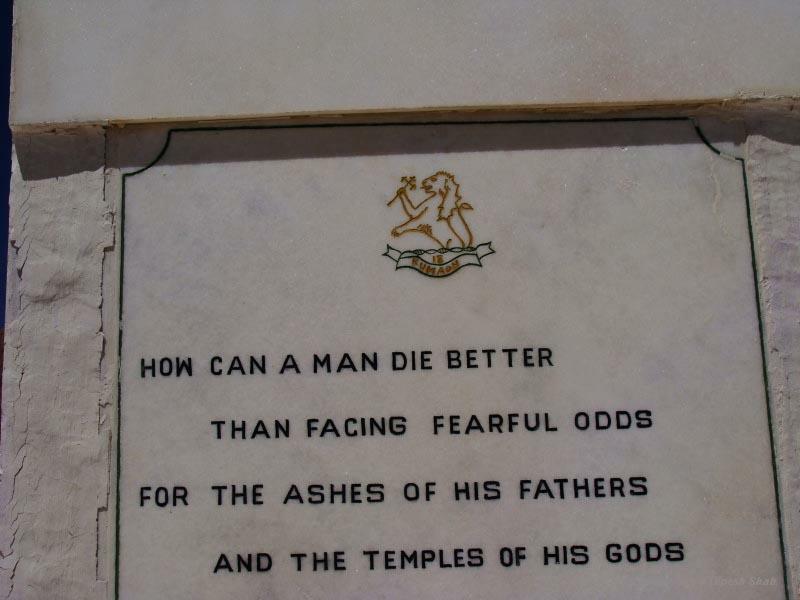 The battle of Rezang La, a ridge overlooking the strategic Chushul plains in Ladakh, to defend the highest air strip in the world located at 16,000 feet — just across the Chinese claim line — is a chapter in the history of the Indian army which has been compared by some Indian military historians with the famed Battle of Thermopylae. 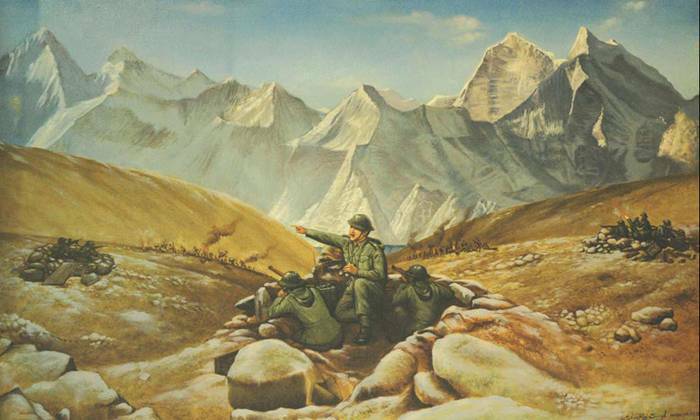 In the final phase of the Indo-China War of 1962, where Indian units typically offered little resistance while being routed by attacking PLA forces, the Ahir Charlie Company from 13 Kumaon Regiment, set a rare example of raw courage, bravery and dedication by literally fighting to the last man. Of the 120 defenders, only four survived, all seriously wounded. The dead bodies of those who died were discovered after the winter, frozen, mostly holding their weapons but with no ammunition. According to some accounts, several jawans, having run out of ammunition, came out of the pickets and charged the enemy with bare hands. Lance Naik Ram Singh killed several Chinese soldiers after lifting and hitting them against the rocks. It is also believed that these jawans inflicted heavy casualties on the attackers. Of the 120 soldiers, 114 were Yadavas from Ahirwal region of Haryana, Rajasthan and Delhi. General T.N. Raina said, "You rarely come across such example in the annals of world military history when braving such heavy odds, the men fought till the last bullet and the last man. Certainly the Battle of Rezang La is such a shining example." 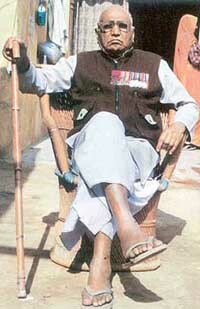 General K S Thimayya remarked, "I had said many years ago that the Army must have a Ahir Regiment. The supreme sacrifice of the Charlie Company has fulfilled my expectations. I hope a suitable memorial will be built in Ahirwal in their memory so that the generations to come may seek inspiration from the immense courage and valour of their forefathers." The heroes who were awarded the Vir Chakra in 1962 defending Rezang La were Naik Hukum Chand (posthumous), Naik Gulab Singh Yadav, Lance-Naik Singh Ram (posthumous), Subedar Ram Kumar and Subedar Ram Chander. All were from the Ahirwal region. And temples of his gods. Last Round, Against Hordes of Chinese on 18 November 1962. 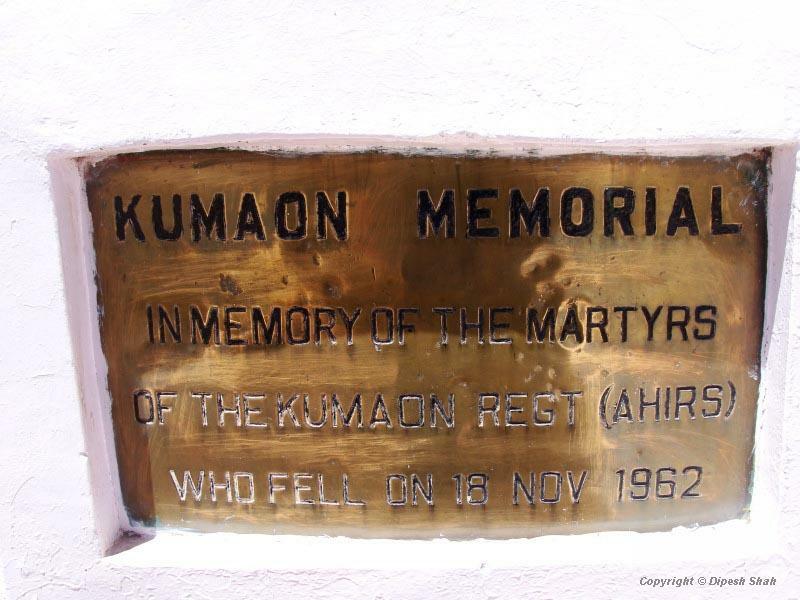 Built by All Ranks 13th Battalion, The Kumaon Regiment. Through numerous political parties such as the Samajwadi Party, Rashtriya Janata Dal, Janata Dal (Republic), Janata Dal (Communal) and Makkal Tamil Desam (Tamil Nadu), the Yadavs have considerable political influence, especially in the North Indian states of Uttar Pradesh and Bihar. Also, in Nepal they are in prominent political positions. The 1st President of Nepal is Shri Ram Baran Yadav. The 1st Chief Minister of Delhi and the 2nd Chief Minister of Harayana was Yadav. Shri Lalu Prasad Yadav was the best railway minister ever and he revived Indian Railways completely which became a case study for Universities like Harvard and Oxford. Himachal Pradesh, Harayana, Madhya Pradesh, Uttar Pradesh, Bihar and many other states had Yadav Chief Ministers. Shri Mulayam Singh Yadav was the Defence Minister of India. Miss Ekta Chowdhary became the Miss India Universe 2009. Many other Yadavs had been selected for the beauty pageants. Baba Ramdev ji is the Yoga guru and is world famous. Rajpal Yadav and Raghubir Yadav are the famous comedians & actors. Besides Kingdoms, chiefdoms and jagirs, the Yadavas had peethams (seats) granted to them by virtue of their religious powers. 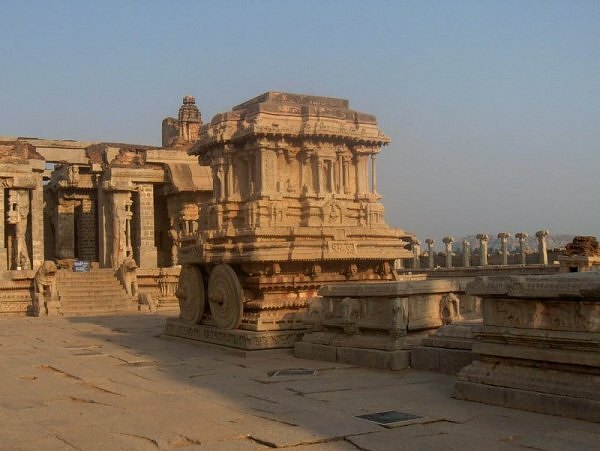 For instance, there were fourteen seats (peethams) among the Yadavas of Warangal according to a sanad granted in 1425 (Shaka Samvat), by Sree Pratapa Rudra, Maharaja of Warangal, to Sree Kondiah Guru, as the head of the fourteen seats. Subsequently when Bhagyanagar was founded by Sultan Abdulla of Kutub Shahi in A.D. 1560 the rights of the Yadavas were acknowledged and recognized, and the name Golkonda was substituted for Manugal. According to the charter awarded by the Sultan Abdullah of Qutb Shahi dynasty in 1071 Hijri, Kondiah built the fort for the Sultan by using his charisma in resolving the mystery of the site, and also discovered for him gold coins buried underground. In return, the Sultan gave him the Charter conferring upon Kondiah the rights and privileges due to the head of the fourteen seats, and of twelve classes of Gollas and two classes of shepherds (Kuruba Gollas). Kondiah, although a follower of Basaveshwara (Lingayat), was the head of the Yadava Peethams. Perhaps the Gollas at this time were under the influence of Veerasaivism, although they were incorporated into the Yadava category. Although the Abhiras constituted a distinct ethnic group, they spoke diverse regional dialects. The language of the Ahirs was known as Ahirani in Khandesh, resembling Marathi. While the Ahirs of Kathiawad and Kachh have a dialect which resembles Gujarathi (Bhandarkar, 1911:17). Abhira bhasha is in fact considered to be Apabhransha. In the ninth century B.C., it had become the language of the people, and was spoken from Saurashtra, and Shastri (1967) proves that poetry was composed in the language around the sixth century B.C. Suryavamsi (1962:14-15) mentions the following two dialects in addition to the ones above--Gaddi, which is currently the dialect spoken in Gadderan, on the outskirts of the Chamba and Kangra hills, and Gandi, spoken in some parts of Madhya Pradesh. Abhiri as a dialect has been recorded by Sanskrit poets such as Bharata and Dandin. Yadav (1916:15), notes that the dialect the people of Ahirwal in Haryana speak, has a resemblance to Rajasthani, and Grierson (1916:9), considers Ahirwati a branch of eastern Rajasthani and western Hindi. Legends of the cowherd Krishna and his dances with cowherdesses are mentioned in the Sangam classics. The term Ayarpati (cowherd settlement) is found in Cilappatikaram (Iyer, 1950). It is argued that the term Ayar has been used for the Abhiras in ancient Tamil literature, and V. Kanakasabha Pillai (1904) derives Abhira from the Tamil wordAyir which also means cow. 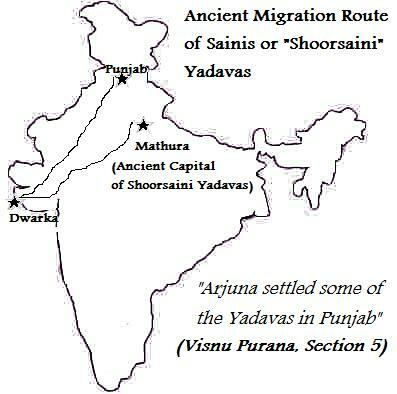 He equates the Ayars with Abhiras, and Suryavanshi (1962:17-18) treats this as evidence of migration of the Abhiras to the south in the first century A.D. Thus, linguistic evidence is used to support the argument that the Abhiras spread to different parts of India, and that they retained different but related cultural traditions. The most common denominator, as was pointed out earlier, was a descent from the Yadu dynasty and their association with cattle. Gaddi in Chamb and Kangra districts of Himachal Pradesh. * Madhauth or Majhauth, the descendants of Madhu, ancestor of Yadu. * Gaur, Gor or Gorya, a very ancient Yadav clan of Epic Mahabharata.